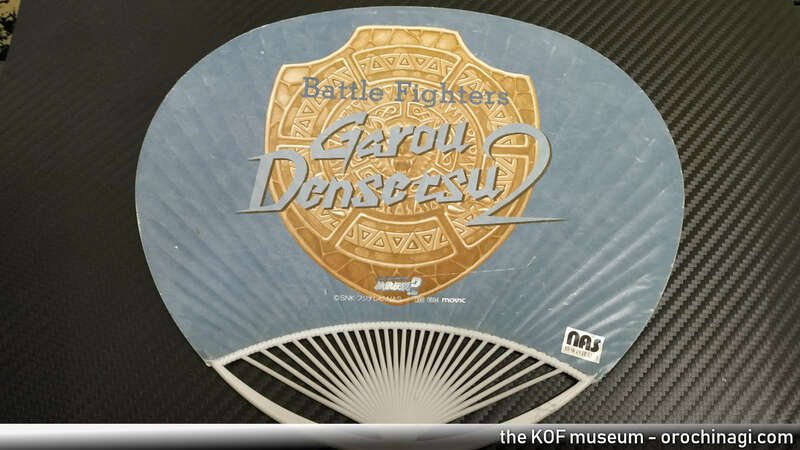 Here we have two fans to show you, and may be able to expand on this page in the future. 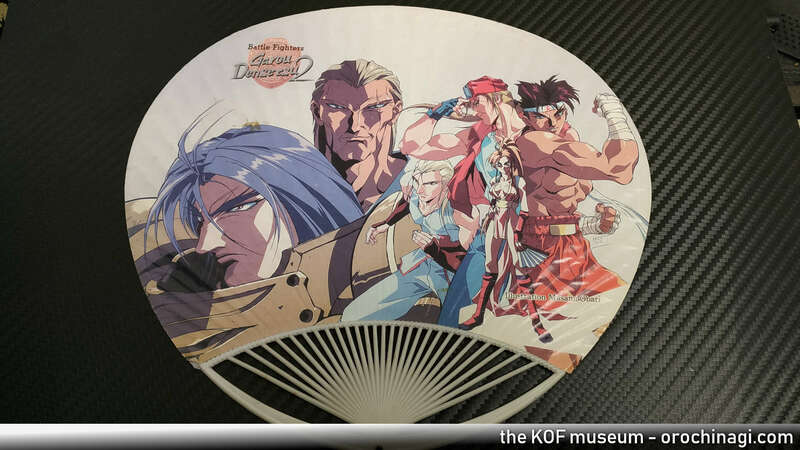 The first is a Fatal fury 2 fan that was probably used in promotion of the second animated feature film. 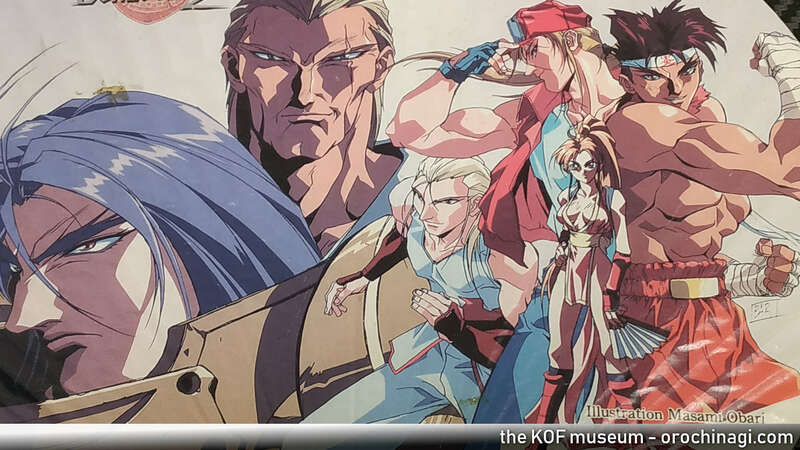 It was bought at an anime fair in London in the 90s! It could have been sold at a convenience store, or given away during an event, who knows. The artist behind the movie style is Masami Obari. Speaking of Obari, while fans were celebrating Terry Bogard’s birthday, he spoke of wanting to do another anime. Some fans were hesitant as Obari’s original characters were restricted to the movie and thus not accepted as canon. However, what many forget is that Obari was not responsible for the story, he was just the artist. 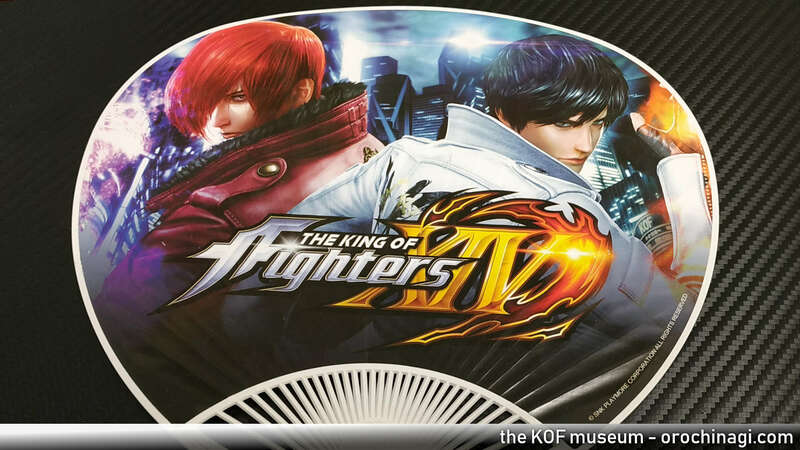 Ultimately he had to follow the director, Kazuhiro Furuhashi, although it’s arguable, due to his own fame, he may have had some influence on proceedings. Would Mai’s jiggling breasts and Jubei’s wandering hands have any place in today’s cinema? Or would Obari bring something awesome from his Mech repertoire to the table? Who knows! 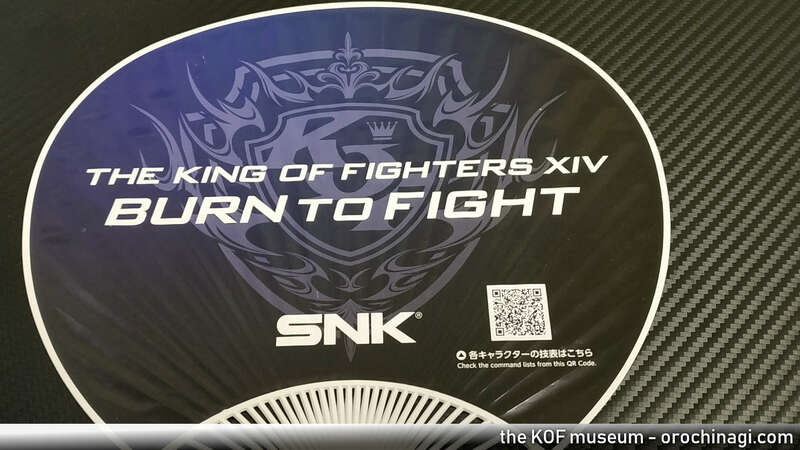 The next fan is a promotional item for KOFXIV which was given to business visitors to SNK’s Office in Osaka. 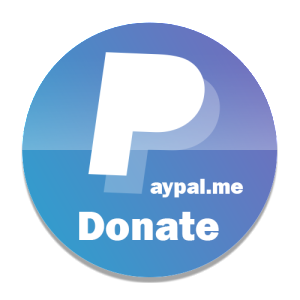 It may have been available at other events.